“Murder on the Mountain” has won an award! This past weekend, I was very honored to see my novel Murder on the Mountain win the Bisexual Mystery category at the Bisexual Book Awards in New York! I’d been planning on attending the awards ceremony, and now I really wish I had. However, travel proved too difficult this time around. Fortunately, author Cecilia Tan tweeted the awards ceremony! Click here to see the other winners! Murder on the Mountain is a cozy—a murder mystery solved by an amateur detective, where all the suspects are gathered in one place. In this case, in a Victorian hotel at the base of Mount Washington. I did a lot of research into the way a murder investigation on the mountain would be conducted, including sending a list of questions up with a friend of mine who was visiting the summit to stay with the rangers for a week. In the process, I discovered that local police don’t really get involved. The state park rangers have jurisdiction. If they choose, they’ll call in the state police from the Major Crimes Unit in Concord, NH. Autopsies are likewise done in Concord. However, the novel isn’t a police procedural, despite Kyle being a state police detective. Just as Jessica Fletcher in “Murder, She Wrote” somehow infiltrates police investigations wherever she goes, Jesse manages to do the same thing. I would never suggest that the real NH State Police would allow a civilian to tag along on an investigation. Although Jesse checking into the hotel and talking to the suspects is well within his legal rights. Kyle could choose to dump him for it, but he couldn’t legally stop him. Like other cozies, the story is largely about the puzzle. This is another novel set in my home state of New Hampshire. I spent my early years in Gorham, near the base of Mount Washington, and my father worked at the summit of the mountain. I spent some time up there with him when I was about seven, at least once sealed inside the Observatory for a week during the severe winter weather—hurricane force winds and temperatures as low as 70 below zero. The Sherman Adams building is fairly recent, since the Observatory building I remember burned down. Now Mount Washington Park rangers stay at the summit, along with the Observatory staff. They have jurisdiction over any crimes committed on the mountain, though they may call in the State Police Major Crimes Unit for a murder. This, of course, is what they did in the novel. 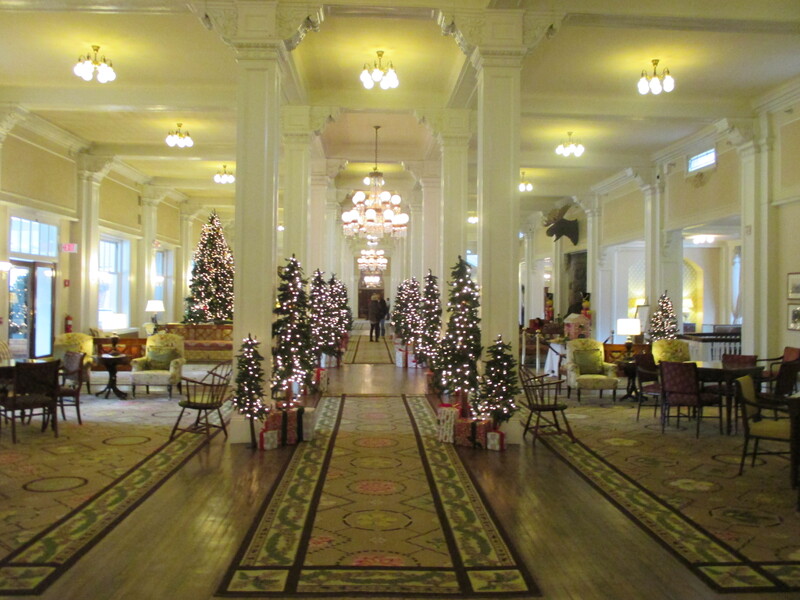 I set the bulk of the novel at the gorgeous Victorian Era Mount Washington Hotel. When I was a kid, we could never have afforded to stay there—I just saw it as we drove by. So I used writing this novel as my excuse to indulge my long-held fantasy of staying there for a weekend. My husband and I spent our anniversary there near Christmas, and the hotel was resplendent in more Christmas trees than I can recall. It was gorgeous. For those who have wondered about it, yes, I intend to write more mysteries with Kyle and Jesse as the sleuths! I hope you enjoy Murder on the Mountain. Murder on the Mountain Blog Tour! So Murder on the Mountain, my murder mystery set (mostly) at the Mount Washington Resort Hotel in northern New Hampshire, is released today! 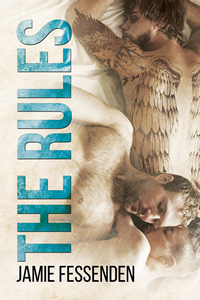 To celebrate, I’m doing a blog tour for the next four weeks! During that time, I’ll be giving away four free eBook copies of Murder on the Mountain and one grand prize $40 gift certificate to Dreamspinner Press! To enter, just go to any of the links below as they become active and leave your email address, or email me at jamiefessenden@hotmail.com. Sept. 23rd (Tuesday): Back here to announce the winner of the gift certificate! “Murder on the Mountain” is available for pre-order! This is my first “traditional” murder mystery. Murderous Requiem had murders in it, but they didn’t occur at the beginning, and the main characters weren’t directly trying to solve the crime—they had other things on their minds. 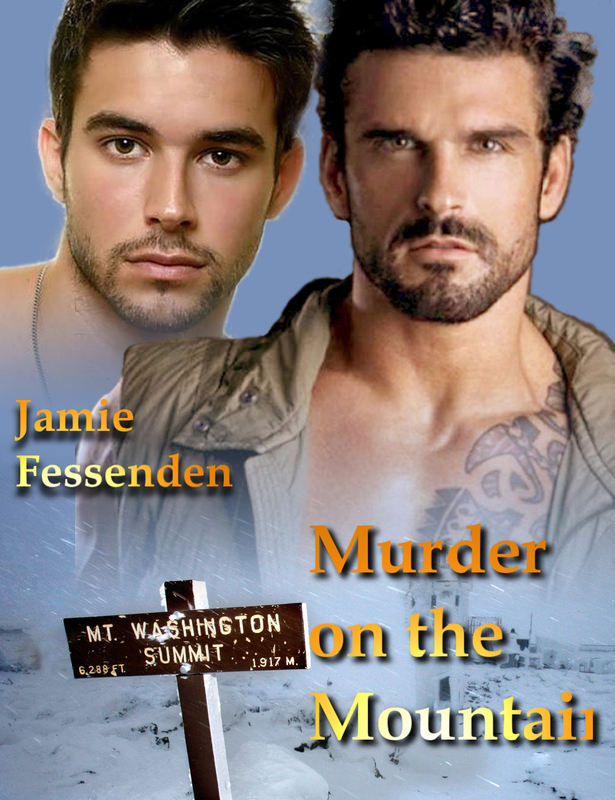 But Murder on the Mountain is a “who-dunnit,” in which a body is discovered and the suspects are all gathered in a hotel for a week while Kyle and Jesse try to solve the mystery. It was a very challenging story to write, and I spent forever going over the nit-picky details in the novel. It was a lot of fun, though, and I hope people love it, because I have a burning desire to set Kyle and Jesse off on a new case soon! Since I have a deadline in mid February for Murder on the Mountain, I’ve had to temporarily put aside the YA novel I was working on (Martian Born) to focus on this one again. It was nearly finished at the end of November, but frankly I was so sick of it, I just needed a break. Why was I sick of it? Because trying to cram an entire novel into one month really didn’t work well for me. Sure, I got most of it done, but I burnt out twice as fast. Rushing things (for NaNoWriMo) also meant that I didn’t have time to straighten out problems with the plot as they came up. So now I’m going back through the manuscript and doing a lot of tweaking, before I move on to wrap things up. None of this means that I don’t like the novel. I think it’s good, and definitely successful as a murder mystery. But I’ve learned some things since I began writing it about proper police procedure when it comes to criminal investigations on the mountain, and of course my husband and I spent a weekend at the Mt. Washington resort hotel where the bulk of the story takes place. So now I’m going back and restructuring to take all of this into account. I’ve also decided to slow the romance down a bit. Not a lot—the entire novel takes place over less than a week—but just a bit more, to make it more obvious that the bisexual police detective, Kyle, is on uncertain ground. He’s never dated a man before, so I wanted him to come across a bit more hesitant. This is not a “gay for you” story—Kyle knows he’s interested in men—but until recently he’s been married to a woman (she passed away a few years before the story begins), and he never thought he’d act on his attraction to men. 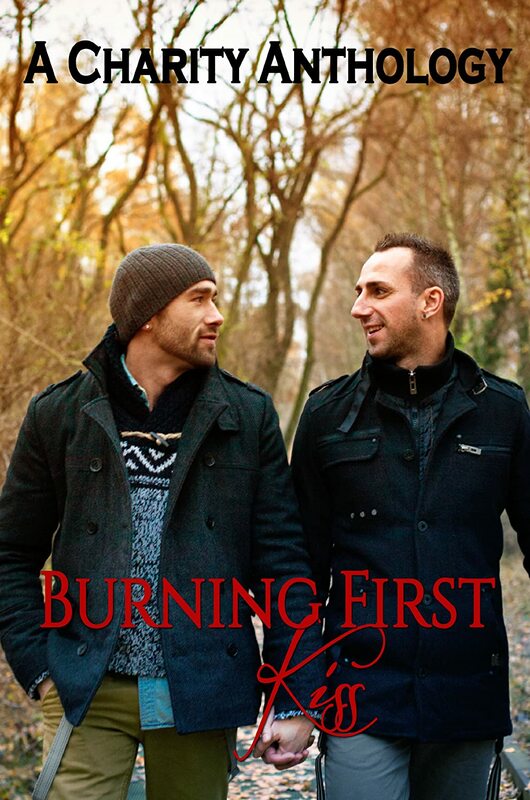 Then along comes a confident, openly gay young man named Jesse…. In the meantime, I’ve also entered edits for two stories: my contemporary romance, Screwups, and a steampunk novella called Watchworks, which is part of an anthology called Gothika. 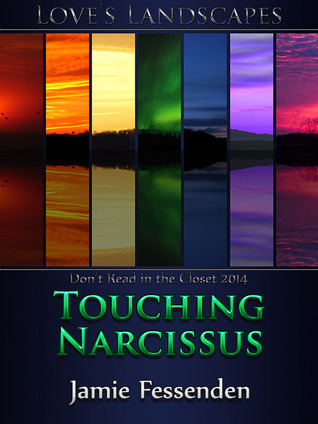 The anthology includes stories by me, Eli Easton, Sue Brown, and Kim Fielding, and should be out this May! So after a pretty rough month, during which I made some progress on A Mote in the Eye (but not enough, considering how long it took), I’ve dived (dove? doven?) into NaNoWriMo with a murder mystery novel that takes place on top of Mt. Washington and in the Mt. Washington Hotel, in Bretton Woods, NH. And now I’m cruising! For a while, I wasn’t sure if I wanted to write this one. Plotting a murder mystery turns out to be really hard, and so many of the initial ideas I had turned out to be impossible. My first idea was to have the whole thing take place on top of the mountain, because I thought there was a hotel up there. It turns out… no. The observatory is there (and in fact, my father used to work there, when I was a small boy), and it’s been expanded, but the cafeteria and museum close at night, and there are no accommodations for hikers/tourists. I could have had the whole mystery take place in the observatory, which I vaguely remember from my childhood, but it’s a really small space with a very small staff (three full-time, two interns, and two volunteers). So what I did was have the murder take place at the summit and involve some of the observatory staff (fictional — not real people who work there) in the search for the missing person, but the bulk of the interviews and such will be conducted at the beautiful Mt. Washington Hotel at the bottom of the mountain. To that end, my husband and I have booked ourselves into the hotel for a couple days in December. I’m really looking forward to it — the place is gorgeous! I created the “cover” you see in this post to motivate me, using two photos I found online that match what my characters look like. The cover isn’t really what the book will end up with for a cover, assuming it’s published. This is just for inspiration. And yes, I’m aware that the final “N” in “Mountain” is clipped off. After all the work I put into making it in the first place, I haven’t been motivated to go back and fix that. But NaNoWriMo has provided a nice kick in the pants to get me writing again. I’m a bit behind, but I’m already over 9,000 words going into Day 7! I’m hopeful that I’ll at least hit the NaNoWriMo goal of 50,000 words by the end of November, though the full novel will be at least 60,000 words. I think it should be completely finished by the end of December.